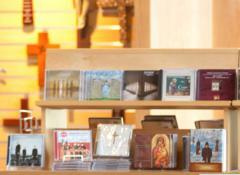 We respect your interest in the monastic lifestyle and would like to answer any questions you may have. Review our answers to the most commonly asked questions. 1. What is my vocation? The word vocation means "calling" and we use it to refer to God's call to us. All Christians have a vocation and are called by God to advance His Kingdom in the world. While many are called to marriage or the single life, others are called to be priests, brothers or sisters. In the end, the best vocation is the one that feels right and best conforms to God's personal will for you. What’s important is that you can truly say, "Thy will be done," and mean it. 2. Considering the Monastic Path? We feel that to live our life skillfully, it is important that one be in reasonably good physical, mental and spiritual health. To embark on this life-giving journey, we would like you to have what it takes to grow in interdependence and to be unmarried, Catholic, and free of obligations arising from the needs of family members or previous marriages and debt. You would need to have enough emotional maturity to accept the challenges, yet rewarding nature, of community living. 3. What is the process of becoming a monk of this community? Explore: Gathering information about our life through contact with the vocation director, Brother Elias. Visit: Should you and our vocation director agree that the process is worth pursuing, we would invite you to come for a visit. You would pray, work, eat and interact with the monks to provide an idea of what our community is like. Should you and the vocation director decide that you may be called to this community, more serious discernment would then be indicated. At this point, you would be invited to meet with a small group of monks in a climate of mutual respect. Live-in Observership: After these conversations and careful consideration between you and the monks, you would be invited inside the monastery. During these two months, you would live the full life of a monk and be fully immersed in their daily routines. 4. What happens after the Observership visit? If further exploration is desired at the end of the live-in observership stage, we would encourage you to devote time to prayer and reflect on your experience. In that time, if you feel a sense of belonging and “rightness,” you would be welcomed to request permission into postulancy. Then the Formation begins. Is the Cistercian Monastic Life for you? 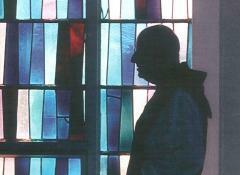 Considering a monastic path? Find out more about how you can embark on this fulfilling journey today. Intrigued by the monastic lifestyle? We’ve recommended readings to help you gain a deeper understanding of the community and discernment.